← Fall Fashion Brings in Haute Pieces! The November birthstones are perfect for this time of year! Citrine can be found in a variety of shades ranging from pastel yellow to a dark brownish orange. 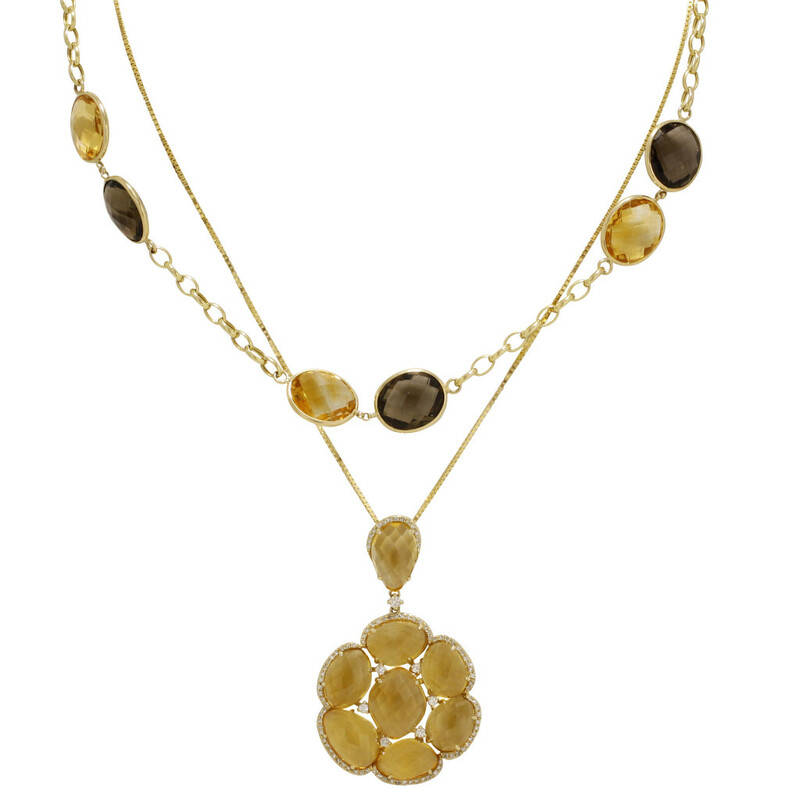 This gorgeous 14k yellow gold citrine and diamond cluster pendant with a smoky quartz and citrine chain is great for a casual night out! 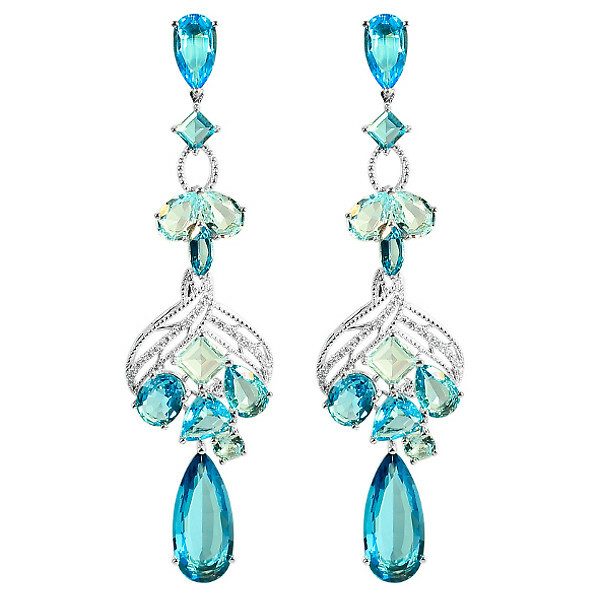 As the days get cooler, the rich colors of topaz will brighten up your look with these stunning 18k white gold blue topaz and diamond chandelier earrings.